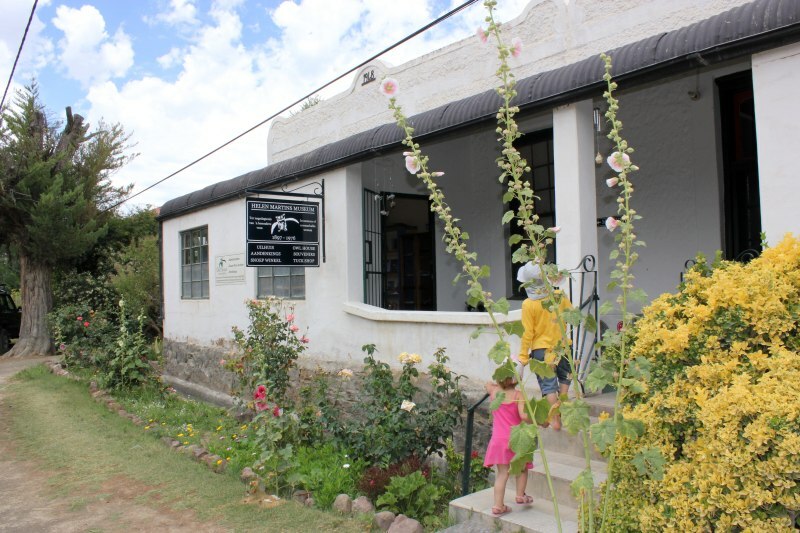 These days, Nieu Bethesda is described as a charming alternative to Graaff-Reinet. But back when I first paid the little town a visit, it was still ‘in the middle of nowhere’, rather off the beaten track. You went there primarily to visit Helen Martin’s Owl House. In fairness, things were starting to happen even then. There was a little restaurant I remember, called something like the ‘wild fig’ or ‘burning brinjal’, or an equally creative name, on the sleepy main road in town (there are but two, main roads that is), the pretty Village Inn was already serving as an information / accommodation / coffee shop / tea garden as it continues to do today, and Egbert’s Coffee shop next to the Ibis Gallery (which I believe has also since closed) functioned as the town’s watering hole of the nonalcoholic kind. It was also February, and hot as hell. But then Nieu Bethesda doesn’t lie in the heart of the Great Karoo for nothing. It’s an utterly beautiful little village, surrounded by mountains, clear skies and heady breezes, when they blow at all. 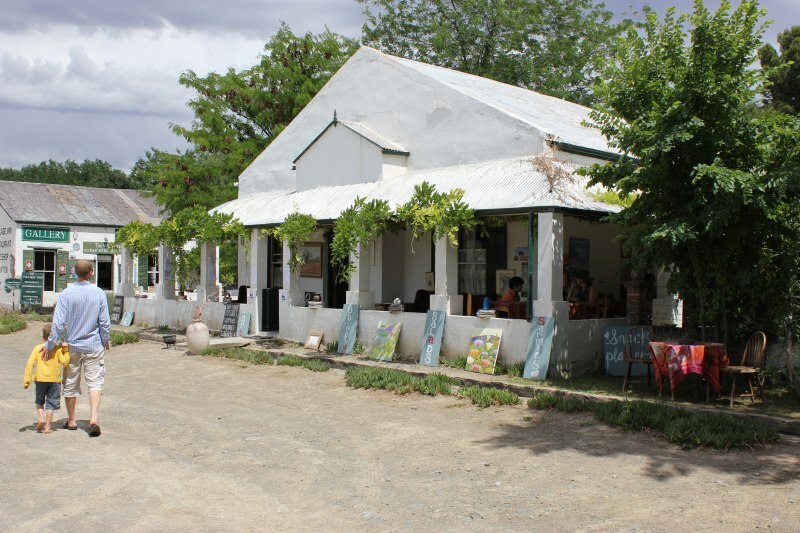 It’s typical of Karoo villages, founded in the mid-19th century and filled with what would have initially been country homes, built in distinctive Victorian architecture, little whitewashed houses similar to the rich spread of houses in the town of Graaff Reinet, not even an hour away. The quirky village still has wide, pear-tree lined dirt roads (there is an ongoing debate about whether or not to tar) along which stone water furrows run to accommodate the little stream that trickles its way down here only in the wet season (when the village becomes a gorgeous patchwork of green), and night skies that easily surpass those anywhere else in the country. Development here has been little, so little that even today there are no streetlamps, banking or petrol facilities (fill your tank before you head here) and vegetables find their way into town but once a week. On the one hand, this lack of development held Nieu Bethesda in a rare state of architectural integrity, as it functioned primarily as a ‘town that time forgot’, but on the other, the local community became largely impoverished. Today, Nieu Bethesda is the star of the Owl Route, developed as a tourist route to include the town in a 50 kilometre horseshoe-shaped stretch of road with views of the Compassberg and die toring, a tower like edifice that juts out of the surrounding mountains that functions as a landmark of the village. 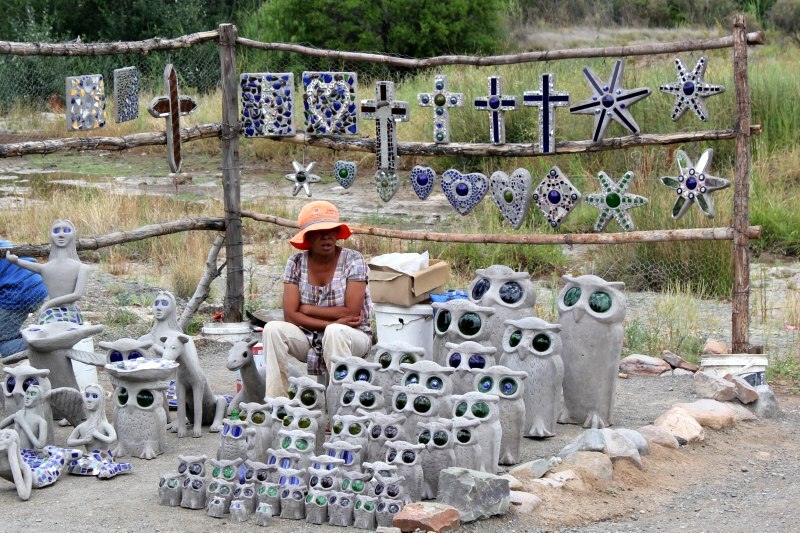 The town is no longer affiliated as a day’s outing to time spent in Graaf Reinet, but has become a destination in its own right, largely due to Helen Martins, the reclusive, eccentric artist of the Owl House. But in Helen’s day, Nieu Bethesda would have been a very different landscape. It was quiet to the point of being isolated. How many other villages can boast that their roads have been so quiet in the past that they were leased to grow potatoes! And it was out of this intense isolation that a reclusive artist, with a predilection for owls and camels, evolved and placed the little dorp on the map, so to speak. Today the village thrives – all fifty-odd white inhabitants and the thousand or so local coloured community – largely because of her art, even if they remain somewhat divided as to the validity of her work – some think it’s art worth protecting, whilst others regard the house as little more than the dabblings of a mad woman. Go see for yourself, because the town gains perspective only after finding your way through the museum that was once Helen Martins’ house. Her work and her story are both riveting and enchanting. The inside of her house is a luminous tapestry of crushed glass in a myriad forms of sun-faces, owls and other images. It’s at once disturbing and beautiful. Outside, her yard is given over to a feast of statues influenced by the works of the bible, and the poetry of Omar Khayyam and William Blake. It’s small wonder that the magnitude of her art served as the source of Athol Fugard’s play The Road to Mecca or that The Owl House is a National Monument that functions as the major tourist attraction of the town. Love it, or hate it, her art inspires thousands of artists, writers and sculptors across the world. 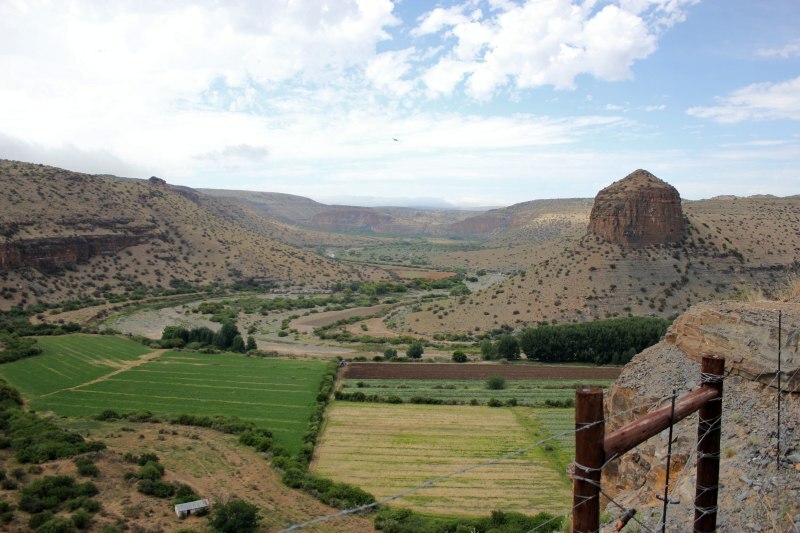 These days you can venture forth on a day trip to Graaf Reinet, rather than the other way around, as there are a myriad ways in which to keep yourself amused in Nieu Bethesda. Other than the colourful locals, there is a fossil museum (to display the rather rich uncovering of pre-mammalian (those that came before dinosaurs) fossils, there is San rock art on neighbouring farms, Donkey Cart tours around the village to take in the 1860 water mill, the Dutch Reformed Church and the old graveyard, amongst other things, and a local brewer and cheese maker at the Sneeuberg Brewery where you can not only do cheese and ale with a coffee on the side (they brew their own coffee here) but stop off for a meal. We stopped off in Nieu Bethesda returning from the Otter Trail, overnighting at the Tower. We were blown away by the friendliness and hospitality of Nieu Bethesda. Highly recommend this gorgeous little town to one and all – its a definite “do not miss” . We are planning to pass through again as we venture forth on more hikes.